Originally published in 1954. 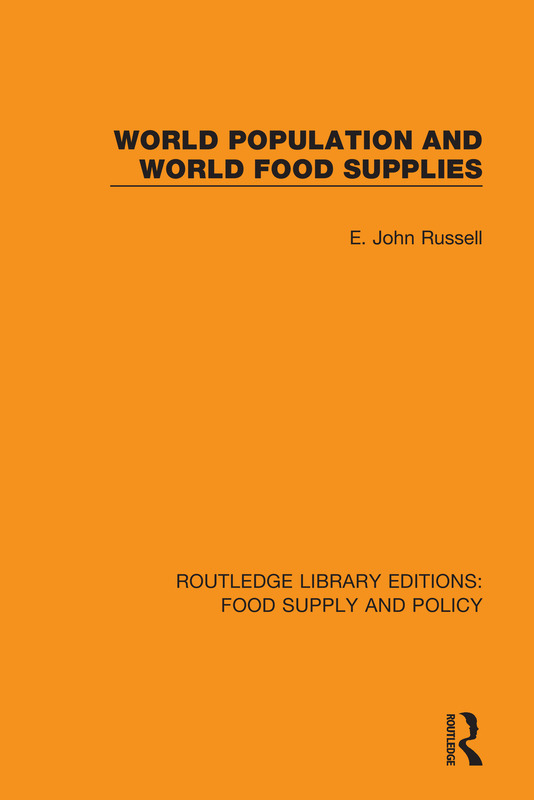 This great work surveys the distribution of the world’s population and the food production of all countries chosen as important by reason of either their demands on the world food market or their contributions to it. The author concludes that the more advanced countries can be reasonably assured of food supplies for an indefinite period. The less advanced countries can no longer rely on self-contained systems: they must seek co-operation with the advanced countries to supply them with the appliances needed for a more highly developed agriculture. This book at the time gave statesmen and their scientific advisers, agriculturalists and agricultural economists an invaluable new instrument. Sir Edward John Russell OBE was a British soil chemist, agriculture scientist, and director of Rothamsted Experimental Station from 1912 to 1943. He initiated the Imperial Agricultural Bureaux, which later became the Commonwealth Agricultural Bureaux.